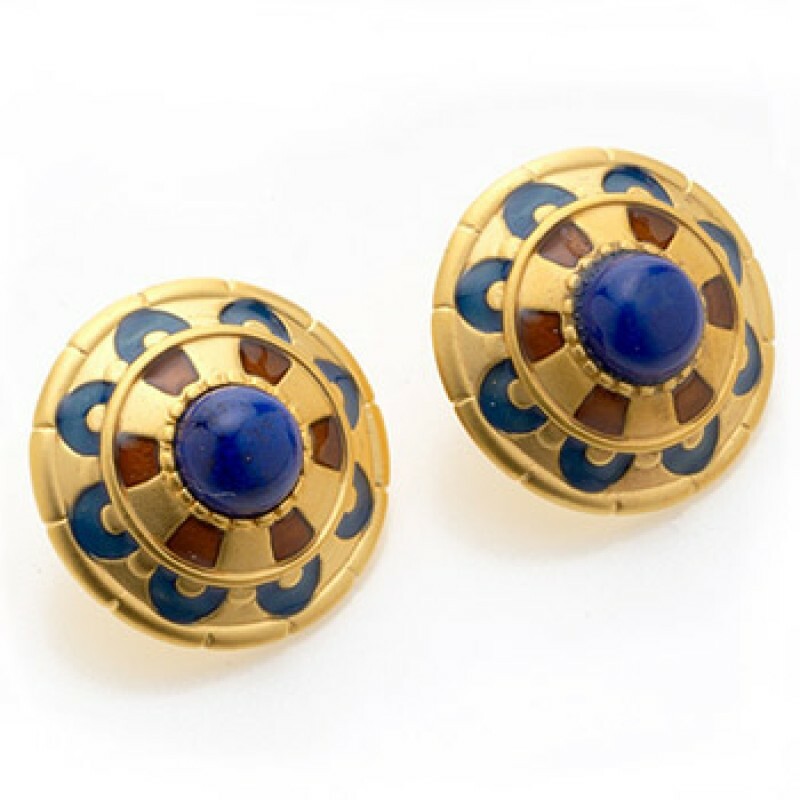 Based on earrings from The New Kingdom of Ancient Egypt, 18th Dynasty about 1555-1085 B.C, these earrings have a Lapis cabochon in the center. 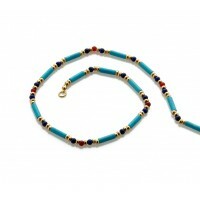 This jewelry combines the most popular and powerful colors of Dynastic Egypt. Blue represented heaven and red, symbolizing blood, represented life. Gold, with its enduring sheen reflected the powerful rays of the sun god. 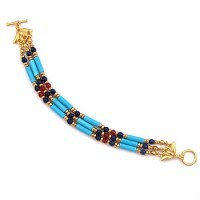 The original jewelry, found in the tomb of Tutankhamen, was made with faience (fired crushed quartz in various combinations) which was used regularly as a substitute for semiprecious stones. The jewelry of ancient Egypt often had talismanic properties and was believed to protect from harm. 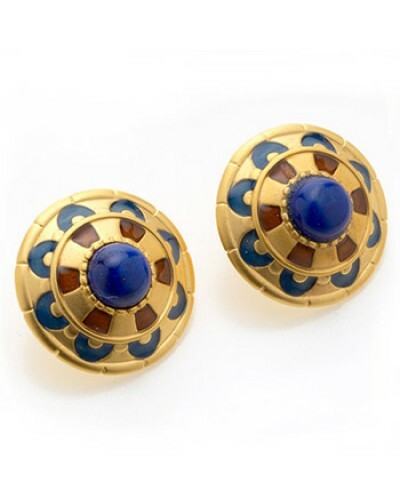 These stunning earrings are gold plated with Lapis Lazuli stones in the center and red and blue enameling. Available as clip on (non piercing) or pierced earrings. Item Number: MR-3368EC | Approximate Size (Inches): 0.50 wide x 0.25 deep x 0.50 high | Approximate Shipping Weight: 0.25 lbs.